Nokia is trying hard to be seen as an open organization. This website is a good example of a company that’s opening its people and process up for public view. If you happen to be interested in working for the company, a huge fan of Nokia or work in a related field, this can be good stuff to see. In essence, it’s material for a very limited core audience. Nokia is a really smart organization which has become truly global by listening to user needs especially in the developing world, but it’s in trouble. It’s nice to tick the box in the C21st marketing text book and make some effort to be open, but if it doesn’t drive business success, then it’s simply a nice to have. Can Nokia turn its openness into something more powerful? It’s certainly one area that they lead Apple, a company that’s widely recognized as being controlling and secretive. However, Nokia needs to turn its openness trait into something more powerful. By listening more and opening up more it could seize some advantage, but it needs to make this openness bigger, more active and more broadcast worthy. Simply seeing what Nokia employees are doing is no good if you can’t interact. Also, if you don’t having a rich understanding of the potential of mobile technology, it limits your ability to participate. 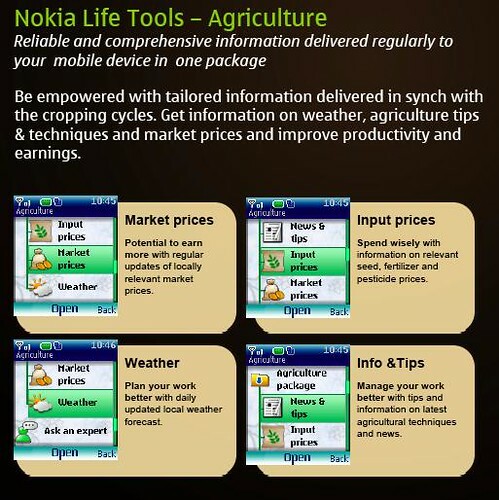 Nokia can do one thing that Apple can’t, it can educate and invite a global audience inside its company. It can embrace the whole idea of openness and invite all kinds of audiences to help make a truly mobile life a reality for the globe. While Apple will continue to control and dictate, Nokia has the opportunity to provide an alternative point view, one that’s powered by a broad community who are working together with the corporation. Nokia has a real chance to bring the idea of openness to broad media and encourage two way dialog, debate and discussion about the future of mobility. Of course, it’s obvious Nokia needs killer products, but Active Openness could help them engage.